Strengthen your brand and message, generate business leads, and gain access and exposure to thousands of parking and transportation professionals when you advertise with IPMI. 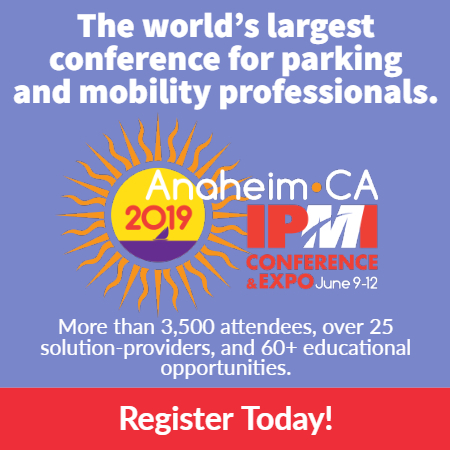 As the largest association of parking, transportation, and mobility professionals and the industry, IPMI is the best place to reach the parking, transportation, and evolving mobility markets. Executives, purchasing managers, and other key decision-makers in the industry consider IPMI the top source for industry news, trends, products, services, and more. Members know they will find unmatched education, training, and networking opportunities in the parking community, all backed by IPMI. On every platform and channel, IPMI reaches a large and diverse group of parking, transportation, and mobility professionals. Choose from web, email, mobile, print, events, and more. Explore the many sponsorship and advertising opportunities at the annual IPMI Conference & Expo. The best place to increase awareness and pique interest in your company is at the industry’s largest gathering, where more than 3,500 professionals convene for a four-day networking and learning event. Differentiate your company from the nearly 250 exhibitors at the IPMI Conference & Expo by becoming a sponsor. From education sessions to mobile apps to networking receptions, there are endless ways to extend your brand’s reach. Click here to learn more about advertising in IPMI’s digital and print publications, including The Parking Professional monthly magazine.